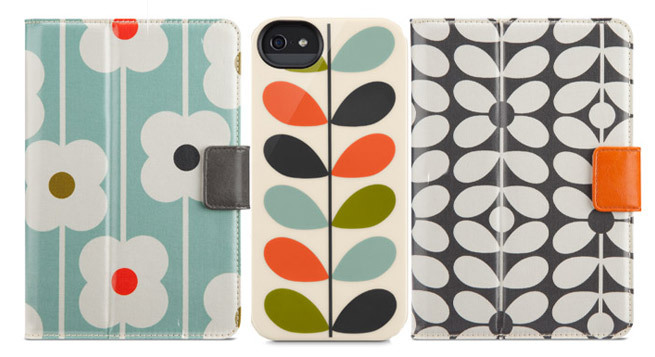 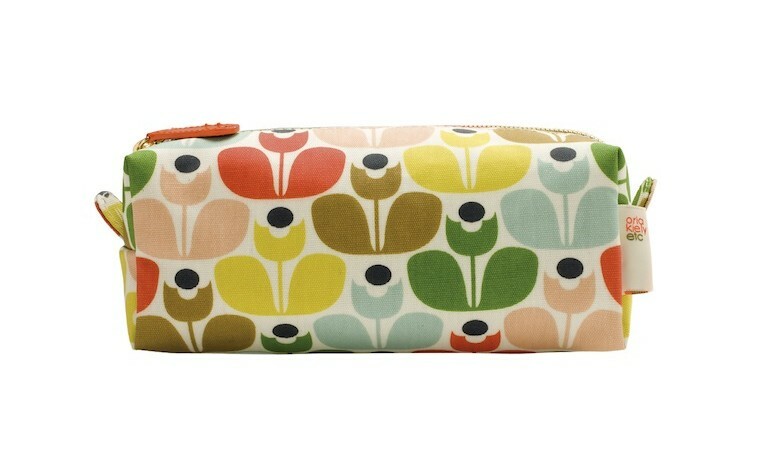 Irish designer Orla Kiely is at it again! 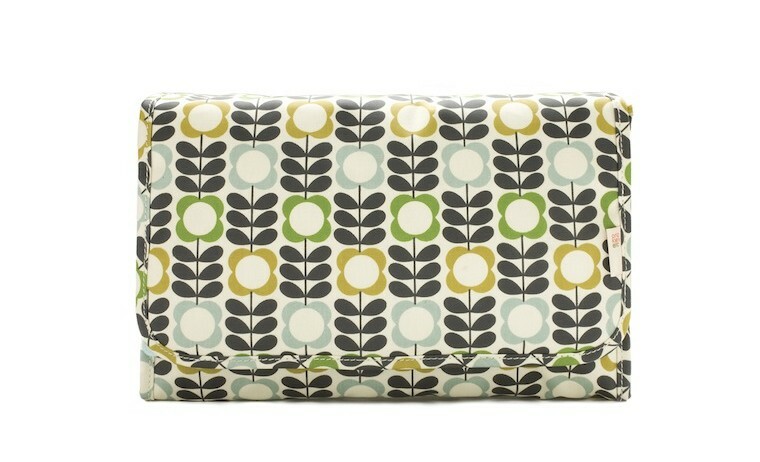 Her signature prints and patterns will adorn a new collection of cosmetic bags, now available exclusively at Target stores and Target.com. 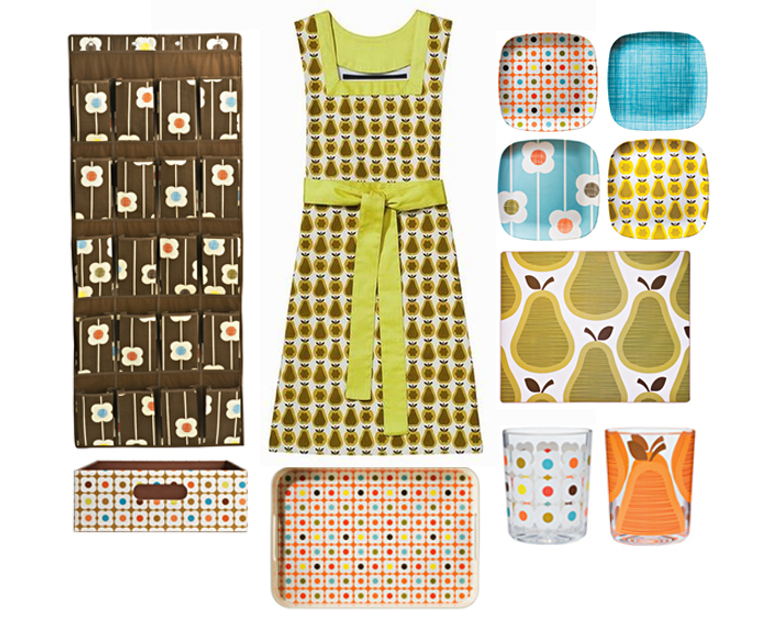 This isn’t the first time her whimsical designs will appear on our shelves. 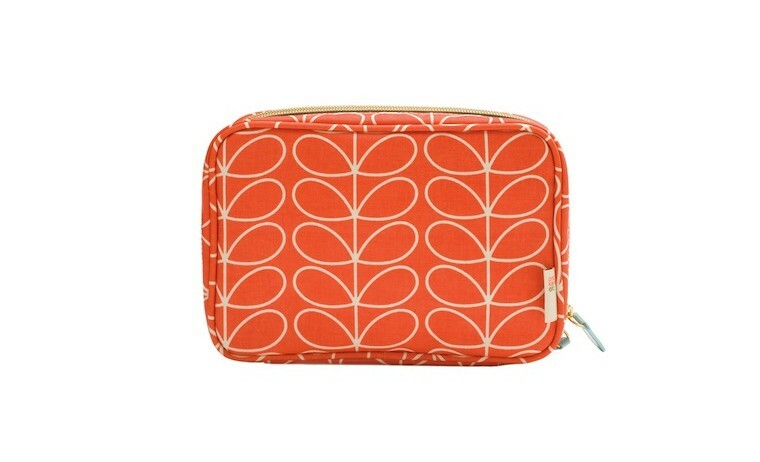 Just this summer, Orla debuted a fun, feminine assortment of iPhone and iPad accessories. 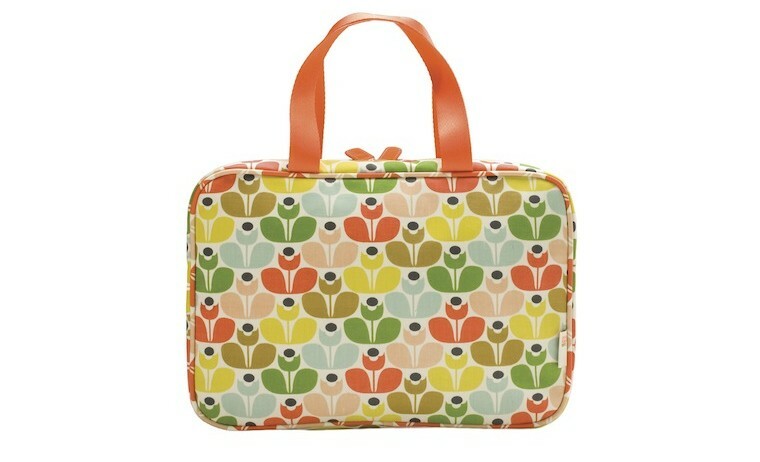 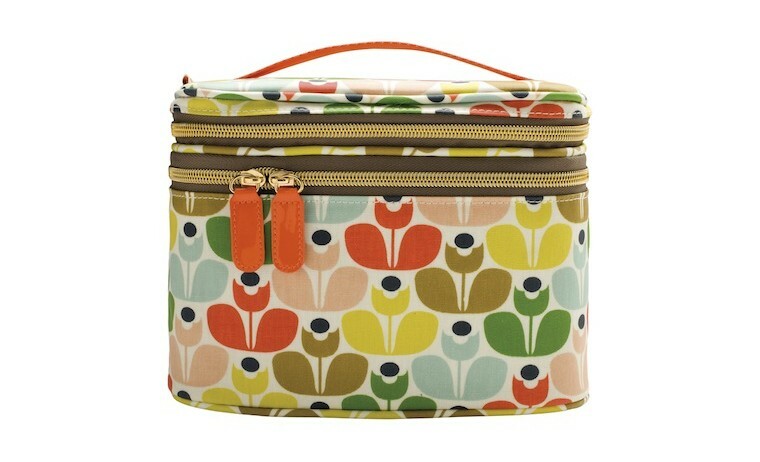 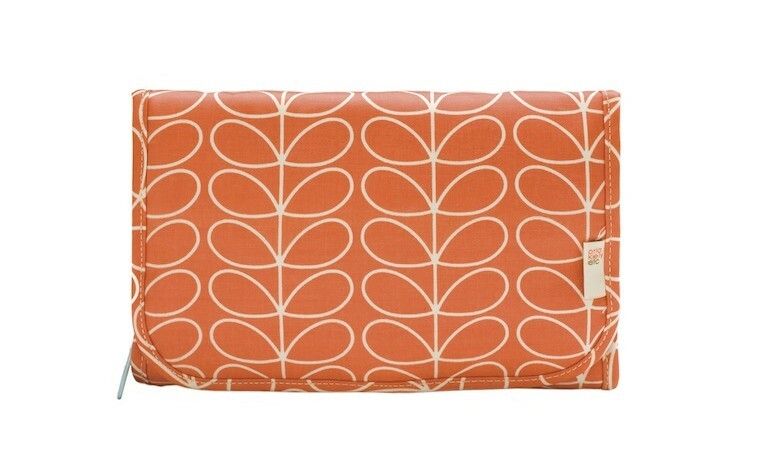 And before that, the cheeky Orla Kiely for Target home collection provided a fresh perspective of colors and patterns on items such as laundry bags, plates, tapered totes and tablecloths. 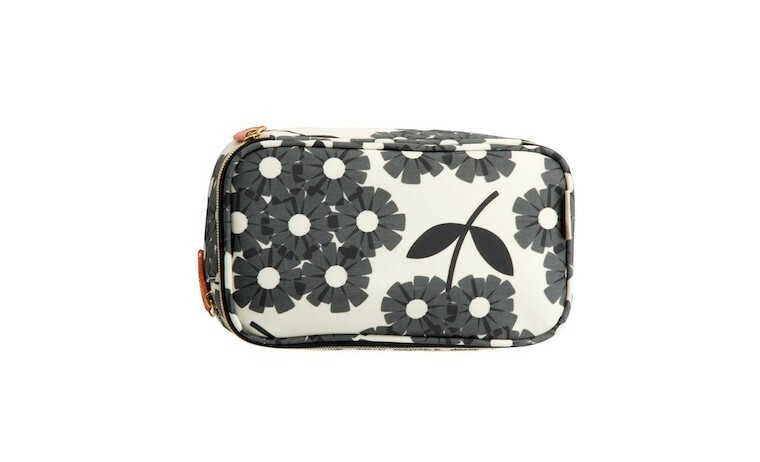 One of the most unexpected Orla collaborations had us truly inspired—inspired to clean, that is. 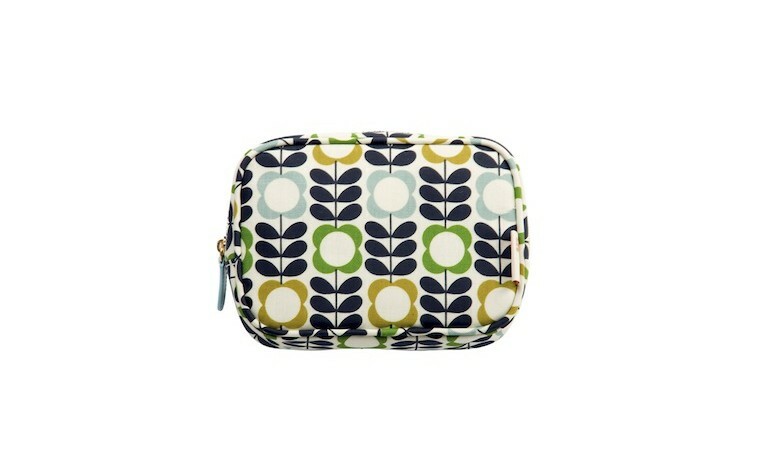 While hand washing might not be regarded as an indulgent experience, the queen of prints helped change that. 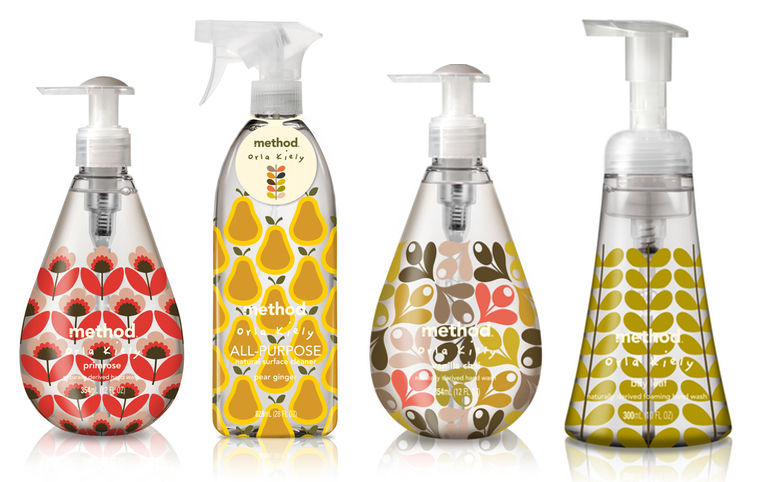 She teamed up with Method to makeover the modern cleaning bottle. 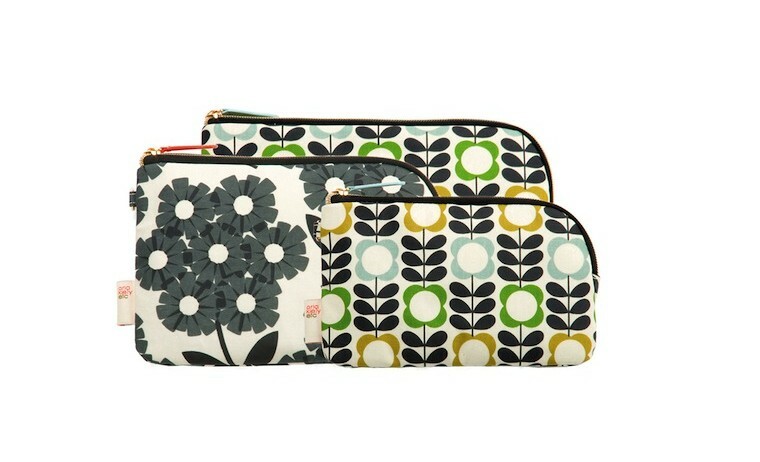 Combined with Method’s iconic designs, Orla’s bold, graphic prints resulted in a sparkling set of beautiful soap bottles exclusive to Target guests. 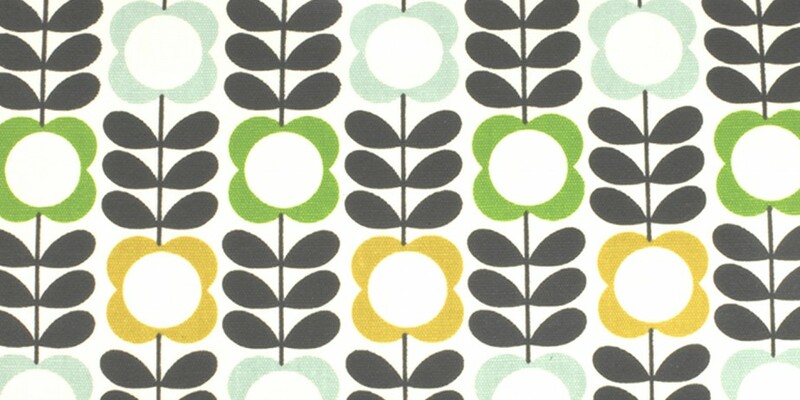 But Orla’s latest design adventure might be her brightest idea yet. 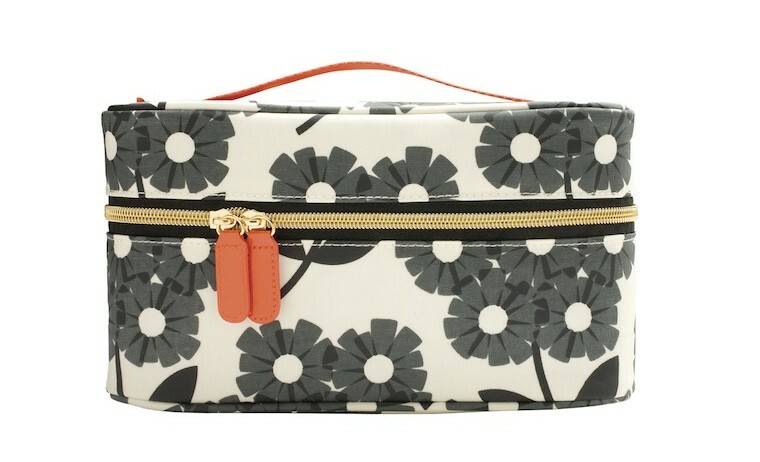 Three new prints—bright floral, orange stem and graphite—instantly dress up coated canvas cosmetics bags, which range in price from $9.99 to $24.99 and store all of your on-the-go beauty essentials stylishly.